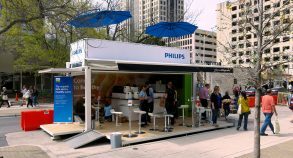 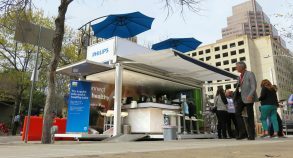 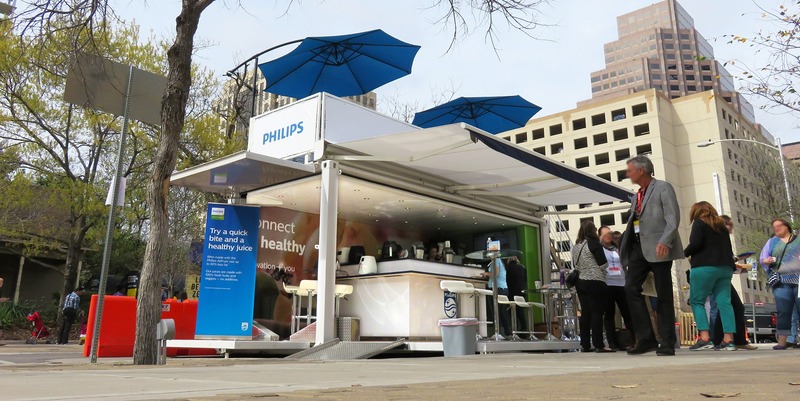 As an official health technology sponsor of South by Southwest Interactive, Philips used a Steel Space 20 recycled shipping container to create a mobile kitchen and a demo product on Trinity Street in Austin, Texas. 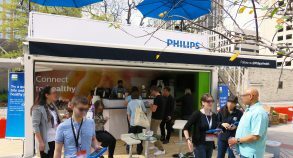 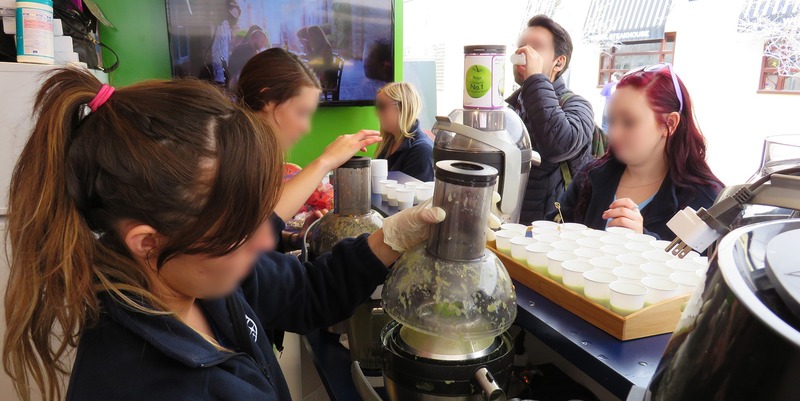 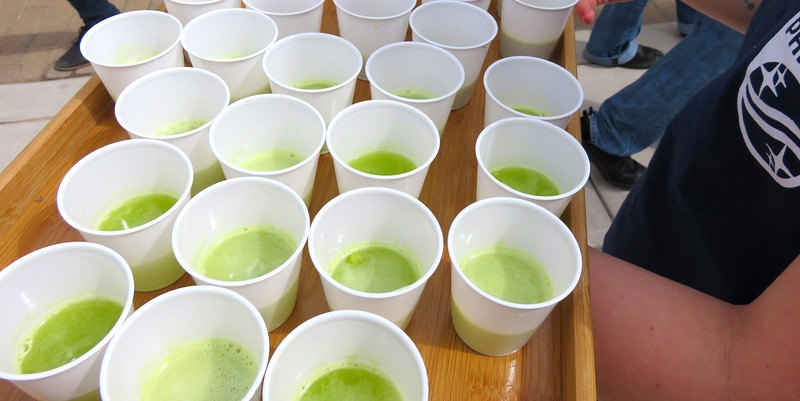 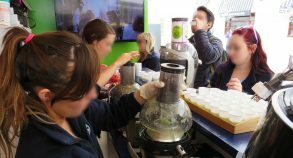 Inside this healthy experience, Philips encourage attendees to pop by for a green smoothie, a healthy snack or just to recharge their batteries (mobile and mental!). 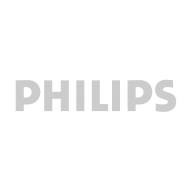 Philips proposed as well a daily survey focused on health. 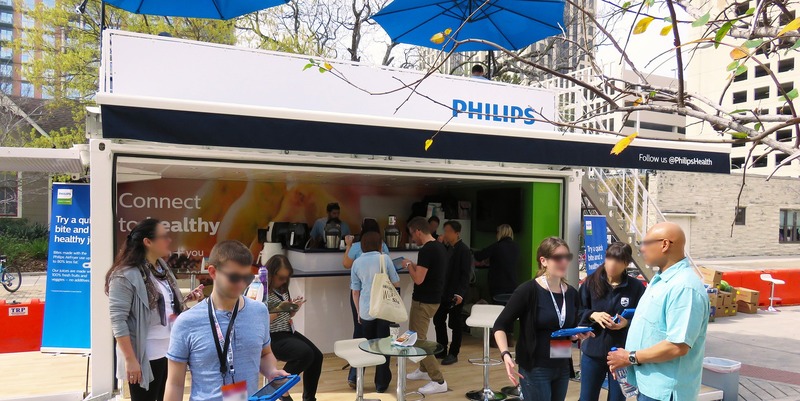 On site, attendees were asked the “Healthy Question of the Day” and given five possible answers to choose from on a pre-populated iPad or monitor. 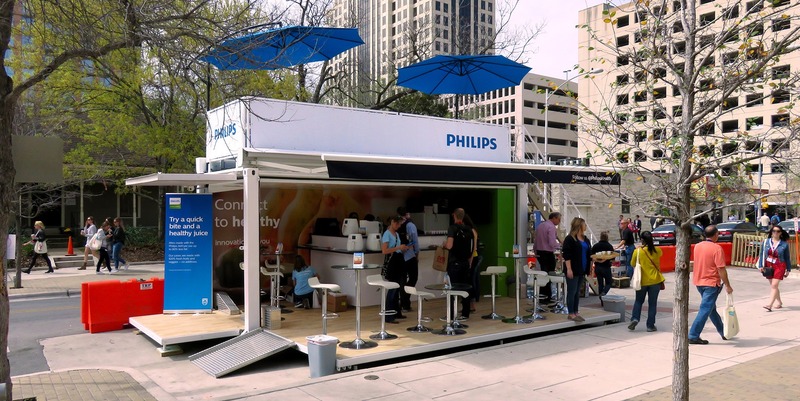 The overall results were shared with the attendees at the Philips spaces, as well as with a broader audience on social media where they drove a larger conversation with #MyHealthyIs.